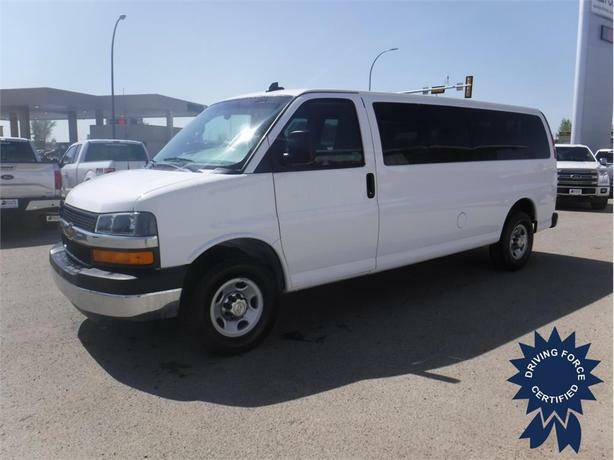 This 15 passenger (2-3-3-3-4 seating configuration) Chevrolet Express is decked out with options including a buggy whip, cloth bucket seats, remote engine start, Bluetooth, WiFi hotspot, and navigation from telematics. It is an ideal transportation solution for your professional team or for taking the whole gang out on field trips. Email or give us a ring to schedule a viewing.